A recording of the Healthy Corner Store Initiatives webinar that took place on March 4th, 2015 is now available for online viewing. Below you can access the webinar recording (password available to Sustain Ontario members, supporters, and event attendees) as well as view the slides from each presentation. This webinar was part of a series of webinar discussions from the Food Access Peer Learning Circle. Webinar: Healthy Corner Store Initiatives from Sustain Ontario on Vimeo. Healthy Corner Store initiatives are a food access strategy that is gaining traction in Ontario and across Canada. This webinar explored both projects and policies that support corner stores in stocking more healthy products – especially fresh fruits and vegetables – from store layout redesigns to food retailer certification programs. Our second presenter, Catherine Mah, is Assistant Professor of Health Policy in the Faculty of Medicine at Memorial University and was part of Toronto Food Strategy’s healthy corner store pilot project. Her presentation spoke to food retail environments in Toronto and the research methods, pilot process, and evaluation components involved in TFS’s pilot project in Scarborough. Catherine also emphasized the need for an equity lens in projects that address changing food retail environments. The evaluation of this project is ongoing and the Toronto Food Strategy is looking at ways to support healthy corner store transitions citywide, so stay tuned for more resources. The discussion and questions addressed strategies for supporting corner store managers and mitigating the risks they take on when implementing changes – suggested strategies include leveraging collective buying power or using a central procurement hub to access better prices for new products. The importance of partnerships was also emphasized; healthy corner store initiatives are about community changes and are just one piece in changing the food access landscape. Because changes are happening at multiple levels – from store environment and policy changes to shifts in individual/household dietary and shopping habits– multiple indicators and tracking tools must also be used in the evaluation of these programs. Thank you to the presenters for sharing their knowledge and ideas and to all the participants adding to the discussion with questions and comments. For those unable to attend, the slides from both presentations are available on SlideShare.net/Sustain_Ontario. This webinar was part of a series of educational webinars and discussions of the Food Access Peer Learning Circle, a project of Healthy Food for All: Healthy and Sustainable Food Systems in Ontario. The Food Access PLC hopes to be an avenue to strengthen existing collaborative networks, support initiatives on a variety of food access topics, share tools, resources, and best practices, and come to a place of agreement for government and the network to move forward on. 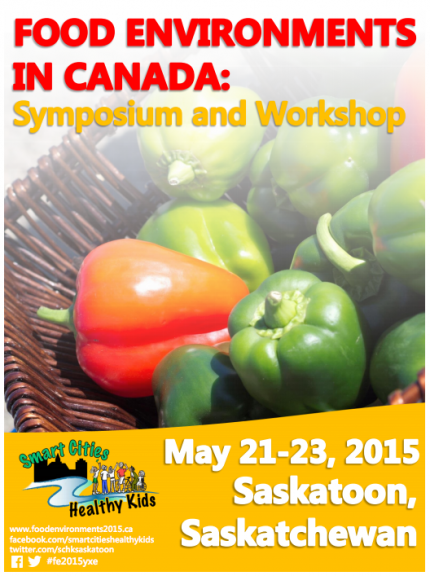 For more information on the Food Access PLC, please contact Bronwyn Clement, bronwyn@sustainontario.ca.